Ahhh the Triumph TT600 a bike once described by a journalist as a great machine, but with an engine that the bike didn’t really deserve! 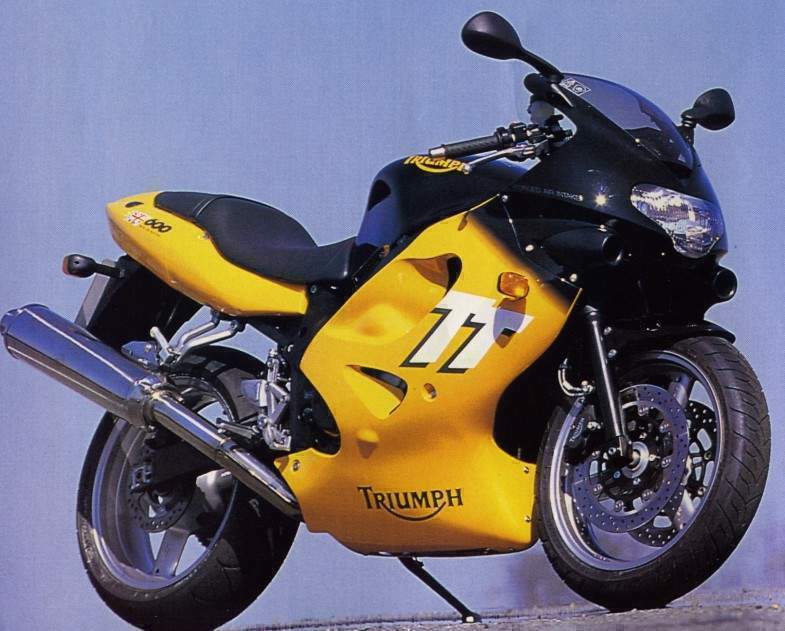 It’s 1999 and Triumph is about to make a big leap into the world of the supersport class, these being the 600cc race-rep middleweights that have (almost) consigned the 750 to the bin of biking. 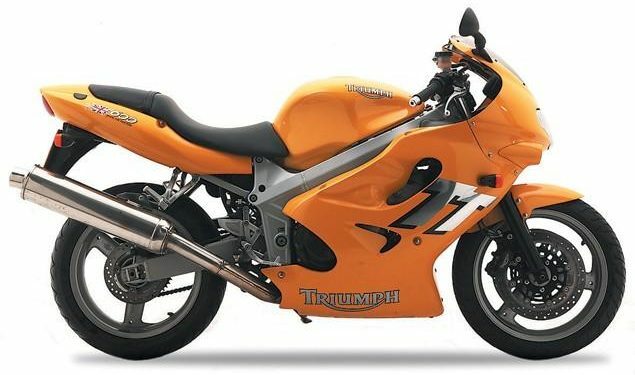 When it broke cover, many bemoaned the fact that the Triumph ‘looked’ like a CBR. And not a very nice one: even the yellow/black colour schemes were almost the same. Was it industrial espionage: well, sadly not, as – if it was – our British spies hadn’t nabbed the blueprints for the engine. Y’see the TT600 was hamstrung by a motor with little in the way of mid-range, even for a revvy middleweight. The rumour mill stated that Triumph owner John Bloor wanted to get the bike out to market ASAP, but probably the real truth was that they were (literally) playing catch-up to the Japanese who’d been making sports middleweights for more than 30 years. Also, the 600 class was becoming the cutting-edge of tech – how could we keep up with the might of the Japanese? Things improved even more with the re-named Daytona 600 which was revealed to the at the 2002 NEC Motorcycle show. Out went the curvy styling and in came harder, angular looks giving it a distinctive style. Better still, it had more mid-range, with the motor building on the fuelling and top-end changes to the motor which came in with the last of the TT600s. In road racing trim, Bruce Anstey would take a Daytona to a Junior TT win in 2003 and out on the track the bike would take a win a supersport 600 race with the Valmoto team and Craig Jones at the last round of 2004. The rumour was that the team were running ‘bigger’ engines and that this was overlooked as they were well out of the championship running. Nothing was proven, but Triumph later ‘did a Kawasaki’ with their road bike and upped the capacity to 646cc… Ahem. Nothing to see here…move along. We’d say this final incarnation – lasting only one year of 2005 – is not really an ‘hmmm’ bike, but a bona-fide ‘rare’ classic. Because (of course) the thing wasn’t around for long until it was replaced by the three-cylinder 675 Daytona. In fact, the original TT600 could have been a triple as ‘Project T806’ had a number of proposed engine layouts, one of which could have been a 650-700cc triple. Feedback from riders told them to stick with the four-cylinder. How wrong they were, eh? Of the original TT600s the later you can buy, the better (fuelling and top-end changes to the motor in 2001/02 helped that mid-range) but even then you’re better off with the 650 which is our pick. Some TTs suffered the odd oil leaks, starting issues and FI engine-management lights staying on as well as poor finishing. Recalls for the model (2000-2004) included ones for side-stand bolt replacement, sprag housing bolt check (they could damage the alternator) and fuel hose and clutch cable check.